Work behind a Mac all day? Be sure you're protecting your back, neck, and feet with these accessories. Sitting, or standing, in the correct position while working behind a Mac, or any computer, is incredibly important to your overall health, as I’ve come to learn over the past year. Incorrect posture and bad ergonomics can result in back, neck, and even foot injuries. When I started struggling with neck and shoulder tightness, I never thought how I was working could be to blame, but after some back and forth with my doctors, the root of the issue had everything to do with my posture and how I was sitting and standing, particularly while working on my iMac or MacBook. 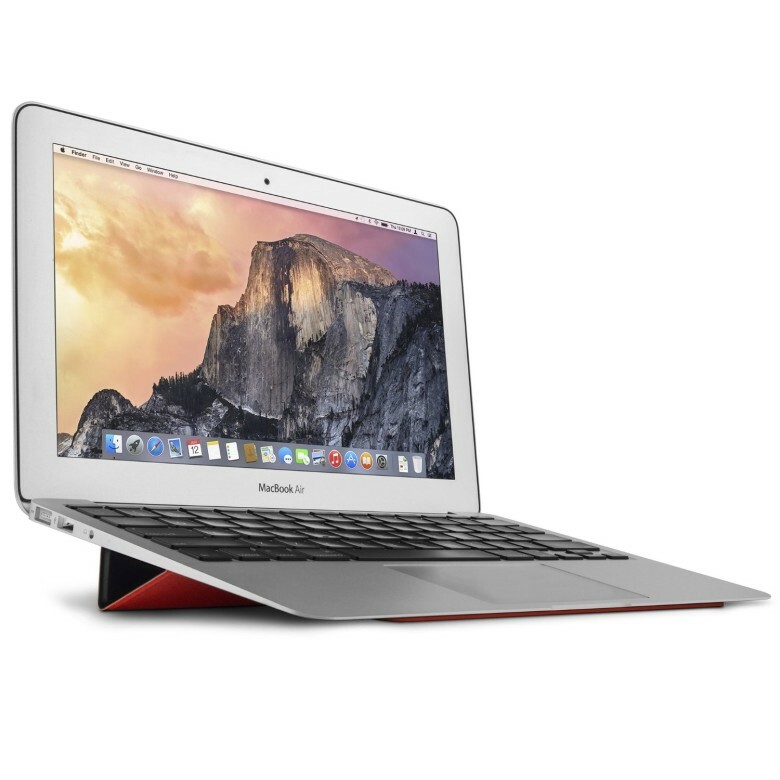 Prevent neck and wrist issues from overuse by elevating your MacBook on the go. I’ve talked about the BaseLift by Twelve South many times in the past and for good reason. Adding just a small amount of height to my MacBook Pro has greatly helped me reduce the amount of strain I’m putting on my neck while working remotely, or while traveling. The BaseLift looks very similar to an iPad Smart Cover but attaches to the bottom of your MacBook Pro or Air. When you’re ready to use it, just roll it under and sit your Mac down. You get an extra inch or so of support and it elevates the keys at a more natural angle so your wrists are better supported. It’s worth mentioning that the BaseLift doesn’t completely bring your Mac up to eye level, which is ideally where you want it to be. If you’re working from your MacBook Pro or Air from home and you are stationary, I’d recommend the HiRise instead, which I talk about below. However, while on the go, and for shorter work sessions, the BaseLift is a great option that doesn’t involve you needing to carry around any other accessory. The HiRise by Twelve South adds height to your Mac so you aren’t straining your neck. 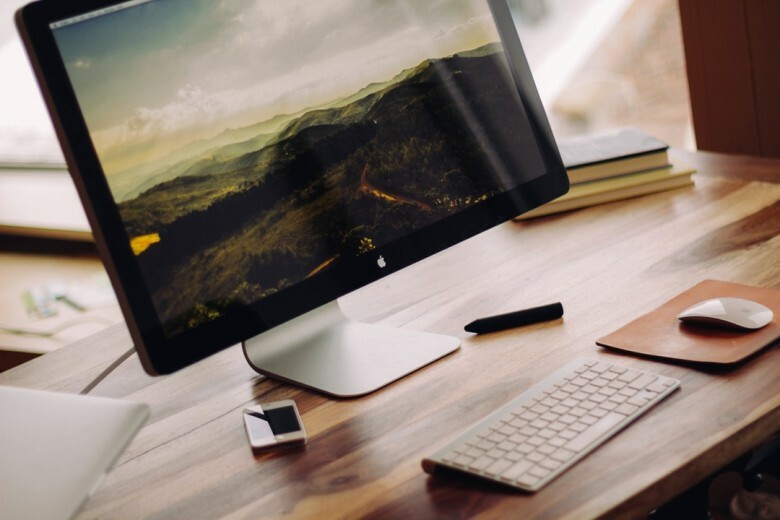 If you sit at an iMac or MacBook for long periods of time either at a home office or a regular office, it’s important to make sure your line of sight isn’t negatively affecting your neck or shoulders. In my case, my iMac was lower than it should be. For this I recommend the HiRise for Mac which adds just a few inches of height to the built-in iMac stand. The HiRise offers 6 different positions so you can tweak it to your optimum height. You can also use the space inside the HiRise to store an external hard drive or any other items you may not want to be in plain sight. There is also a version of the HiRise available for portable Mac laptops. This version can raise your MacBook up to 6” and serves not only an ergonomic purpose, but helps cool your Mac as well. 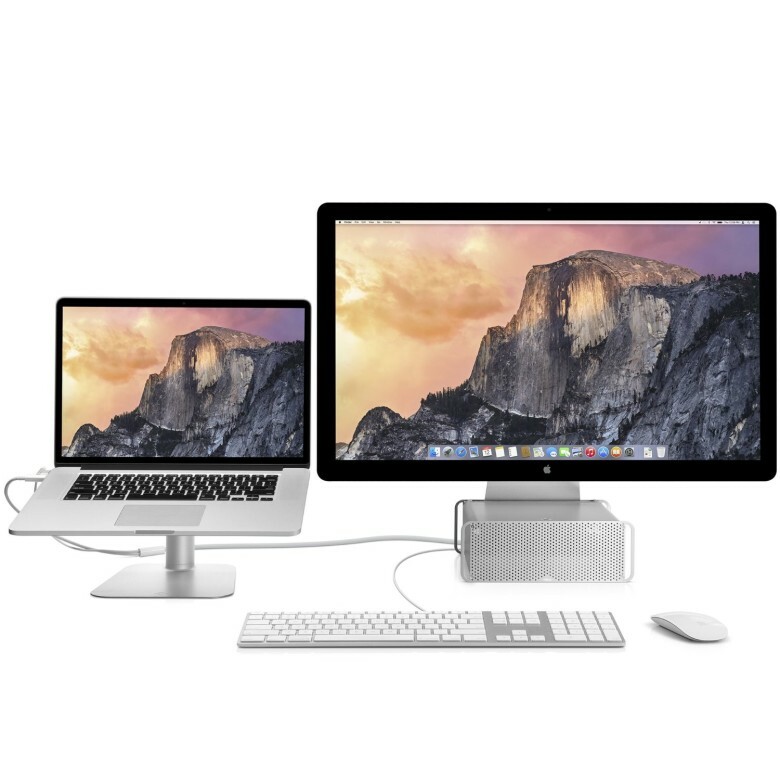 Any portable Mac from 11” to 15” will be compatible with the HiRise out of the box. 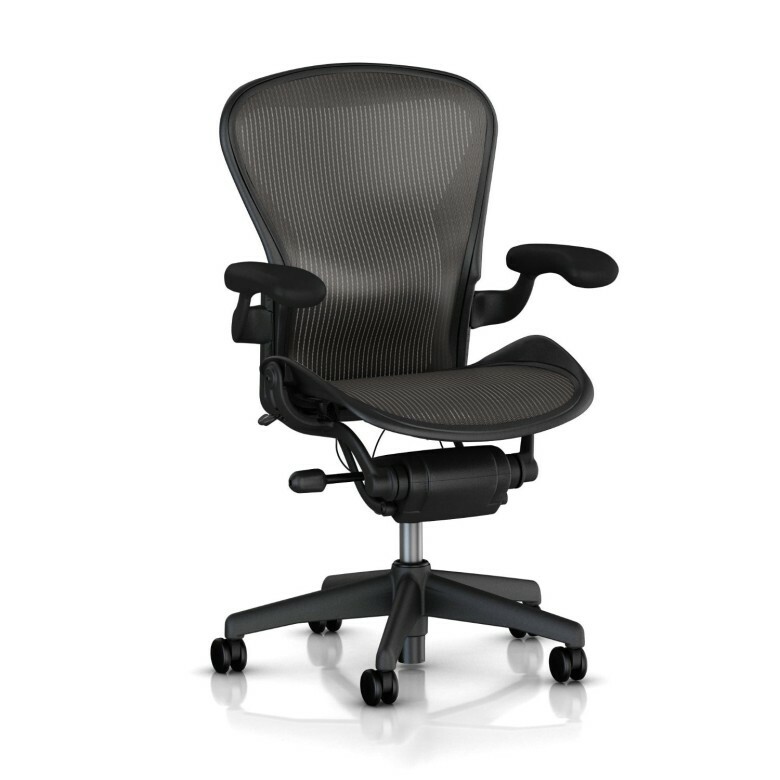 The Aeron is not only breathable, but offers excellent back support. I’ve suffered from low back problems since my early 20s and a lot of it has always had to do with my posture and the amount of work I do behind a computer desk. In 2009 or so I started working for a company that equipped each employee with an Aeron Chair by Herman Miller. Not only was it a completely comfortable chair to sit in for long stretches of time, I noticed my back pain was drastically reduced. This chair may not come cheap, but it’s hands-down one of the best bets for anyone who suffers from chronic low back pain. Not only does it help you maintain good seated posture, it also is incredibly breathable. I never really thought of that feature with desk chairs but after sitting in this all day, especially on hot summer days, I never appreciated not peeling myself away from a chair more. Sit/stand desks let you have the best of both worlds in a single desk. Back in 2013 I decided I didn’t want to sit stationary at a desk anymore. So I purchased a Jarvis Standing desk from Ergo Depot. Since then I’ve spent about half of my day standing and the other half sitting or moving around. Not only have I lost weight, my back pain has all but disappeared and my overall posture has improved ten-fold. While I spent quite a bit on my standing desk, there are hundreds of options available on Amazon to fit pretty much every budget. While hydraulic sit/stand desks will set you back a few hundred dollars, crank desks aren’t terrible and offer the same kind of functionality. The longer standing desks are around, the more reasonably priced they become. IKEA even carries one now for under $500. But as always, cheaper options yet can be found on Amazon. 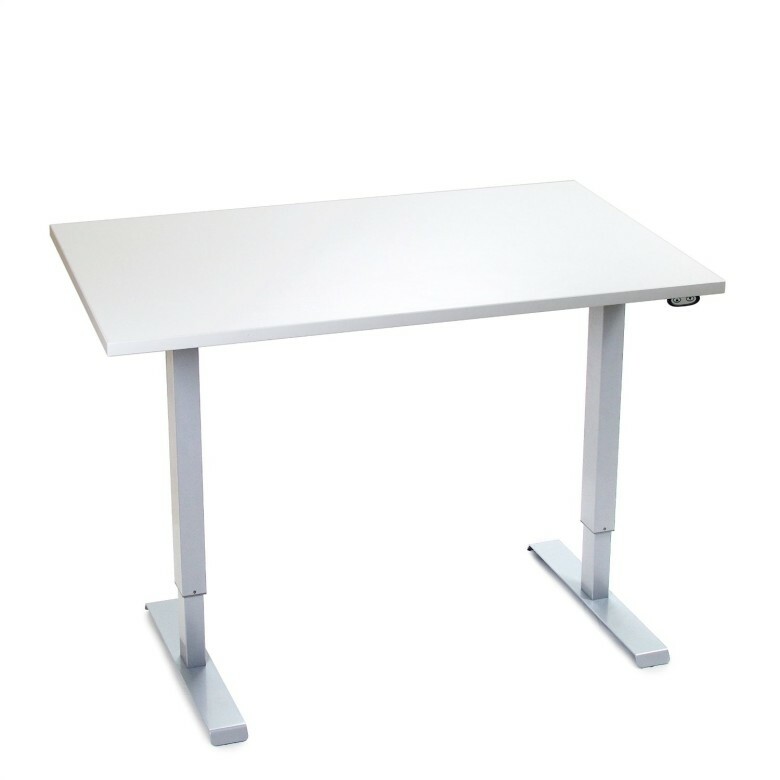 The VARIDESK standing desk mat offers more support than many other options. 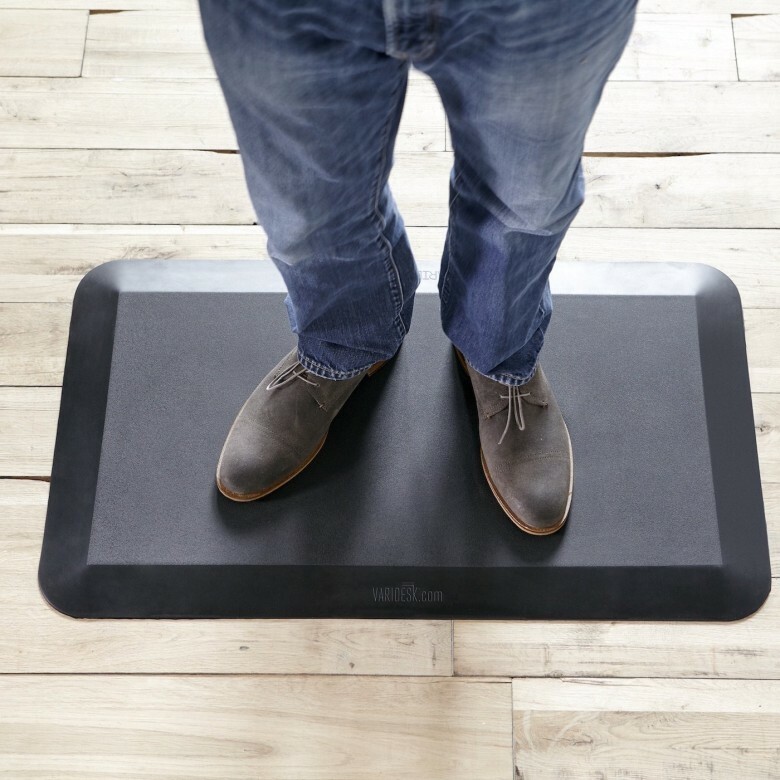 If you’re even considering a standing desk, you need an anti-fatigue mat to go with it. Standing on a hard floor, or even carpet, for long periods of time isn’t good for your feet or your hips. Anti-fatigue mats are used in offices and kitchens for a reason, they provide better overall support for your body. I’ve used several anti-fatigue mats over the years but I’ve found the VARIDESK mat to be the most durable and long-lasting. Sure, it’s more expensive than some of the others, but it’s thicker and will outlive them. Orthotic inserts help maintain proper support for your feet while standing for long periods. While standing for at least part of the day can be conducive to your overall health, it is imperative that you make sure you’re taking care of your feet. Part of the way you can do that is by purchasing an anti-fatigue mat, like mentioned above. But if that isn’t completely doing the trick for you, it may be time to take it a step further. Orthotic inserts aren’t just for walking and working out, but should be worn anytime you’re standing for long stretches of time. I made the mistake of working from my standing desk barefoot for a few months. My feet paid for it. 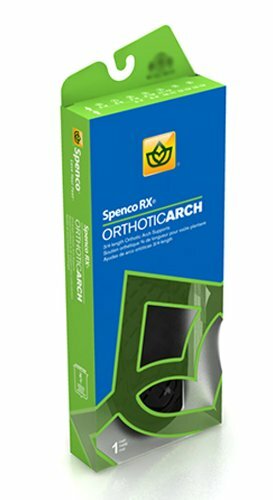 A local podiatrist recommended Spenco Orthotic Arch Supports which can be purchased for a steal on Amazon. They’re cheaper than the Dr. Scholl’s inserts you find in local stores and they aren’t as thick, which for me was a problem with shoes that had shorter backs. If you aren’t to the point of needing custom orthotics, but want more support while working in a standing position, give these a try. If you work behind your Mac all day long, what are you using to make sure you’re taking care of your body at the same time? I’m particularly interested in any keyboard or mouse suggestions. I’m not a huge fan of the split keyboards and I’ve become quite fond of the feel of Apple’s keyboards, even though I know they aren’t the best option for my wrists. So if you have any suggestions, I’d love to know in the comments!